The H264-ULL-RS343 is an ultra low latency, dual channel, H.264 encoder for CompactPCI Serial systems. The H264-ULL-RS343 provides a powerful and flexible solution for capturing and compressing 2 Analog RGB RS-343 sources at up to 1080p HD resolution to the H.264/ MPEG-4 AVC (Part 10) standard. The H264-ULL-RS343 is ideal for time-critical applications as it offers Ultra Low Latency encoding of below 40ms across the entire capture resolution range. The H264-ULL-RS343 supports dual H.264 encodes at resolutions up to 1080p30 or a single channel encode at 1080p60. The H.264 encoding can be flexibly configured to suit a range of bandwidth and storage requirements. The ultra low latency feature of the H264-ULL-RS343 makes it ideal for real-time video I/P streaming and distribution of RS-343, VGA or other Analog RGB video. 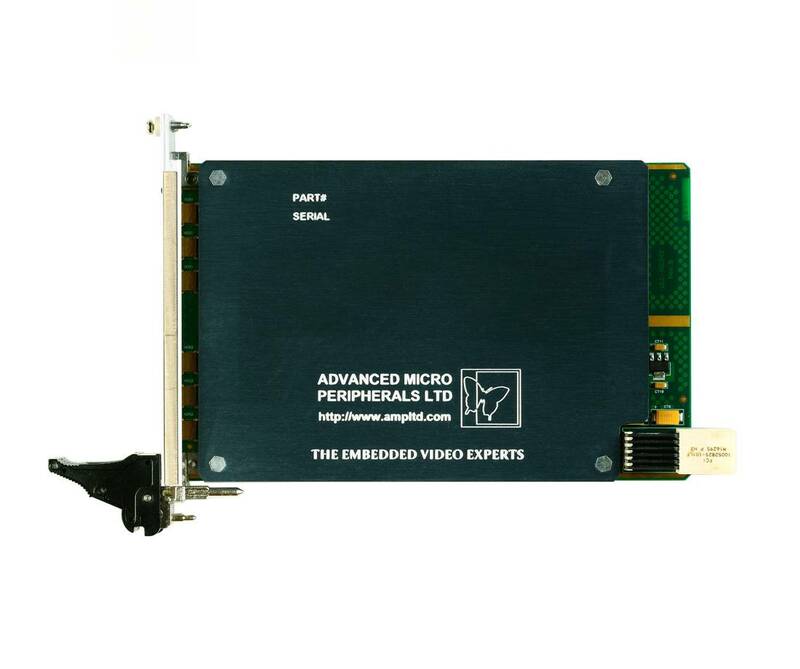 The H264-ULL-RS343 is a standard 3U CompactPCI -Serial form factor module available with a comprehensive video recording SDK for Linux and Windows. An extended RTSP video streaming SDK is also available for applications requiring transmission of the captured data over IP links. The H264-ULL-RS343 is supported by comprehensive and well supported software development kits (SDKs) for video recording and video streaming. The SDKs are designed to significantly reduce development time in Windows and Linux environments and include support libraries, drivers and example applications to help developers fully utilize the H264-ULL-RS343 features in complex video compression / overlay applications. Standard 3U CompactPCI Serial form factor.